Welcome to The Altered Pixel the creative home of digital artist Michael Risano. His work focuses on such areas of digital art as photo-manipulation, digital illustration, creative retouching and graphic design. 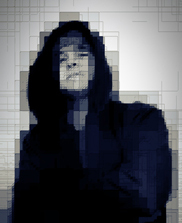 Michael strives to push the boundaries of his digital art, while creating inspiring and eye catching designs. Michael is available for full-time hire and freelance projects. If you would like to contact him with information regarding job opportunities please visit the contact page and complete the form.